YNRC can be taken for a variety of situations. Staying relaxed and focused makes life’s challenges much easier to handle. It is a fact that anyone can perform better if they are not dealing with stress or anxiety. The examples below are just a few of the different situations in which a YNRC Relaxation Shot™ proves to be helpful. At a time when stress levels among Americans are at an all-time high (see The Stress in America Survey™) and potentially addictive anxiety medication is being prescribed at alarming rates (see Our Other Prescription Drug Problem), it is clear Americans need a healthy option for achieving relaxation. 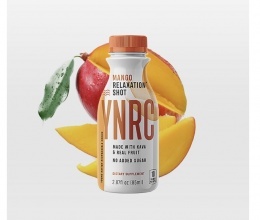 YNRC Relaxation Shot™ intends to be that healthy option. While there are a few products currently marketed as “relaxation beverages,” these products rely on relatively mild active ingredients and simple ingredient profiles. The YNRC Relaxation Shot™ proprietary blend includes FIVE natural, safe ingredients all proven to independently mitigate anxiety symptoms. Together, these ingredients evoke an immediate sense of relaxed focus, allowing a reprieve from tension and anxiety without causing sedation or confusion. The primary active ingredient in the YNRC Relaxation Shot™ is Kava, a plant native to the South Pacific region that has been used for centuries as a ceremonial drink because drinking Kava causes feelings of physical relaxation and mental calmness. As a physician and also a believer in the benefit of natural remedies, Dr. Chad Domangue was intrigued when he heard about this plant that eased anxiety, though he did not simply believe it because he heard it worked. Dr. Domangue assembled a research team, headed by Dr. Amber Allison, a psychologist in New Orleans. Both Dr. Domangue and Dr. Allison know from their education and experience that anxiety is a difficult and complicated psychological state to navigate, and it is often not adequately treated by our standard medical options. Through extensive research, they learned that giving anxious people daily doses of Kava for weeks or months effectively and greatly decreased their anxiety without causing unpleasant side effects. One study even showed that Kava decreased anxiety levels just as much as prescription anxiety medication! Other studies showed that Kava increases sleep quality and improves attention, likely as a result of decreasing anxiety symptoms like racing thoughts, muscle tension, and excessive worry. The exact way Kava works in the body is not yet known, but research has discovered that it works on the same brain pathways as prescription anxiety medication. Our hope is that once individuals experience the immediate calming effect of the YNRC Relaxation Shot™, they will shift away from the less-healthy ways they usually cope with anxiety, whether that anxiety is related to the stress of raising children or to the fear of messing up at work or to the limitations associated with chronic pain. We imagine a world where anxiety levels are controlled without prescription medication or other self-medicating means. We imagine a world where people are relaxed and productive, rather than stressed and scatterbrained. We imagine a world where everyone has the opportunity to stress-less and focus+more. Take half of the bottle to support relaxation and stress relief. * If more feels necessary for effectiveness, wait at least 30 minutes before consuming the remaining half. Do not exceed two bottles daily, only consumed several hours apart. Product may cause drowsiness and slight numbing effect to lips and tongue. Individual results may vary. Do not consume with alcohol. Do not take if you are pregnant, breastfeeding or have liver conditions. Not recommended for children under 18 years of age. Consult your doctor before use if you are taking any medication, frequently consume alcohol, have a mental or other health condition or have had liver problems. Do not take when operating machinery or driving a vehicle. Stop use and see a doctor if you develop symptoms that may signal liver problems, including jaundice (yellowing of the skin or whites of the eyes) and brown urine. Other nonspecific symptoms can include nausea, vomiting, light-colored stools, unusual tiredness, weakness, stomach or abdominal pain, and loss of appetite. Discard any opened bottle after 72 hours. 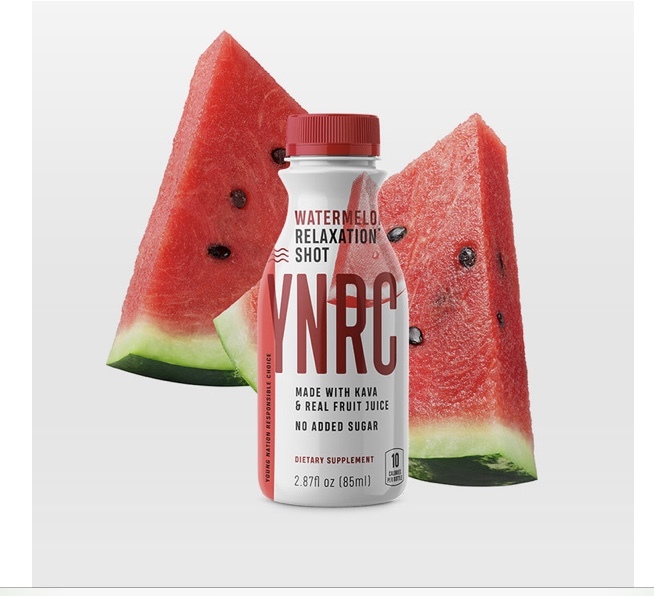 WHAT HERBS AND MINERALS ARE IN THE YNRC RELAXATION SHOT™? YNRC shots contain a proprietary clinically tested blend of Kava Extract, Passion Flower, Magnesium Glycinate, DL-Methionine, and L-Lysine, which is equivalent to a teaspoon of pure supplement powder. Kava Extract: the key compounds in the kava plant that promote relaxation are kavain & desmethyoxyyangonin, which act like a muscle relaxer, so you’re mentally alert but physically calm. Kava’s key compounds also drive up dopamine levels in the brain, leading to an improvement in mood and an increase in pleasant feelings. Kava has been shown to effectively and reliably treat anxiety in many clinical research studies, in addition to research suggesting that kava decreases aggression and improves sleep quality. Passionflower Extract: studies suggest passionflower may help relieve insomnia and anxiety by boosting the level of gamma-aminobutyric acid (GABA) in your brain. Magnesium Glycinate: half of all Americans are deficient in magnesium, though it is a critical mineral responsible for more than 300 enzyme reactions in the body. Since our cells use magnesium to stabilize membranes and to help muscles relax, symptoms of magnesium deficiency include tight, cramping, or stiff muscles. Magnesium Glycinate has been used clinically to treat chronic fatigue and pre-menstrual mood changes. DL-Methionine: methionine supplements help protein synthesis and provide support for healthy metabolic, central nervous, and immune system function. DL-Methionine has also been used to treat depression. L-Lysine: Lysine amino acid that is effective at reducing stress-induced anxiety and trait anxiety in those known to have a deficiency. L-Lysine has also been associated with lower baseline levels of the stress hormone cortisol. Those with pre-existing liver conditions should avoid products containing kava due to possible toxicity, though the association between kava and liver toxicity is not direct or definitive. In fact, no controlled human trial has noted liver toxicity with kava in isolation when used at moderate dosages. Still, out of an abundance of caution, we recommend checking with your doctor if you have any conditions of the liver prior to ingesting products containing kava. Since kava crosses the blood-brain barrier and we don’t know enough about the effects on development, ingestion is not advised for women who are pregnant or nursing. Kava has been shown to exacerbate the cognitive effects of alcohol (i.e., confusion, decreased reaction time), so the two should not be ingested at the same time.